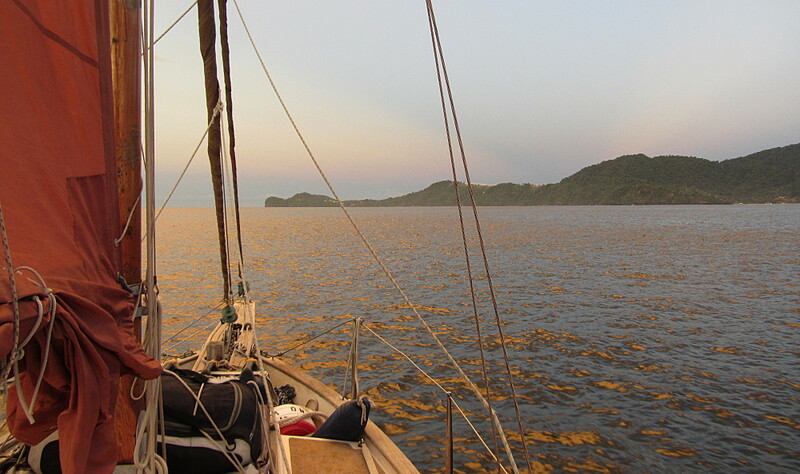 Eileen made a good start from Chaguaramas, being the first boat to leave for “The Boca” at precisely 4pm. 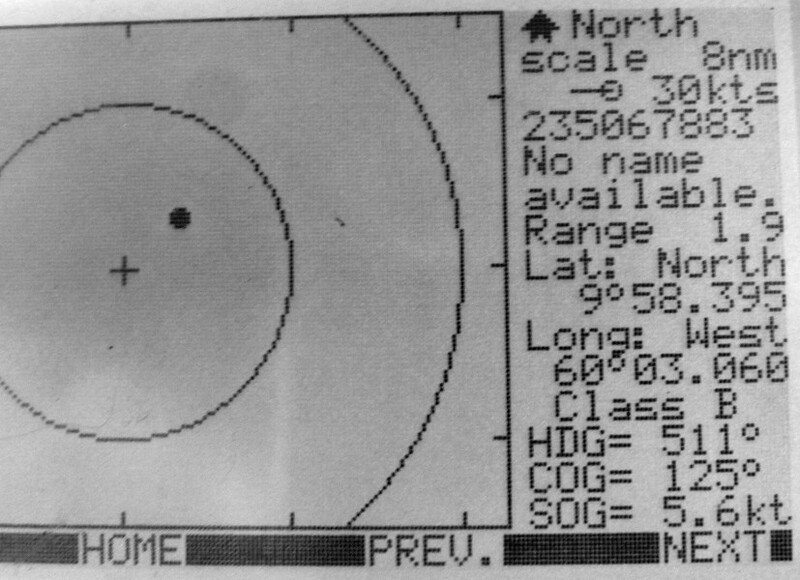 Making the most of the unexpected head start, the diminutive yacht remained in the lead for the first 12 hours. But only because not everyone was comfortable (or insane) enough to search for the complementary current and land breeze effect just metres off Trinidad’s rocky Northern coast. With Lion King approaching fast, it was not long after dawn that the lead passed to this immaculately maintained Hanse 54. Rounding Galera Point, a half knot of current rapidly increased to 2 all the way to Darien Rock, slowing the fleet considerably. Spirited Lady and Kaisosi chose a route through the centre of Galleons Passage and subsequently found themselves pushed toward Drew Bank off Tobago. Good news for Eileen as it would take them many hours to make up for lost time. By Thursday night Lion King had managed to make contact with Virginia Dare, the dark horse of the fleet, who’s crew was unknown to any of us as she had started the rally from Grenada. It was unclear at this stage whether she was ahead or trailing the main fleet. On Thursday night, off Darien Rock, Kaisosi overtook Eileen. Spirited Lady as seen on my A.I.S. By Friday midday, Spirited Lady raced by at a speed that doubled anything I could squeeze out of Eileen, even under full sail and motor. Eileen takes on crew for the first leg. Not that I was particulary worried. I had no reason to rush…. Apart from Jo on his Moody, who had resigned to starting the rally several days later (Still waiting on parts? ), by Saturday, the only yacht that might still be behind Eileen of Avoca was Virginia Dare. 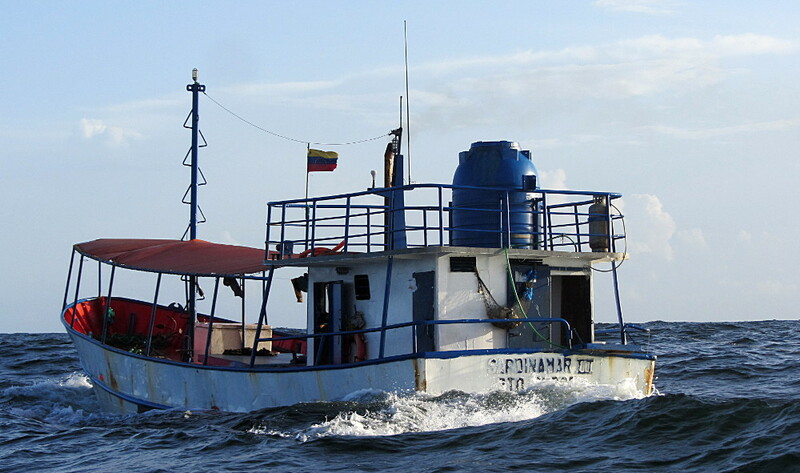 A note on pirates: This fisherman came to within 15m of Eileen on route to Guyana. What did he want? To say hello of course, and maybe take a close look at my crew! He then sped off chatting on the radio in Spanish to all who would listen about the flotilla of sail boats he had welcomed in the last 24 hours. Next update upon arrival in Guyana! This entry was posted in Nereid's Rally and tagged pirates, sailing to Guyana by admin. Bookmark the permalink.